Completed in 1877, College Hall was the main academic building and dormitory for male students. This is now the main administration building. Gallaudet University Kellogg Conference Center opened in 1995 based on the emerging new concept of barrier free communication. 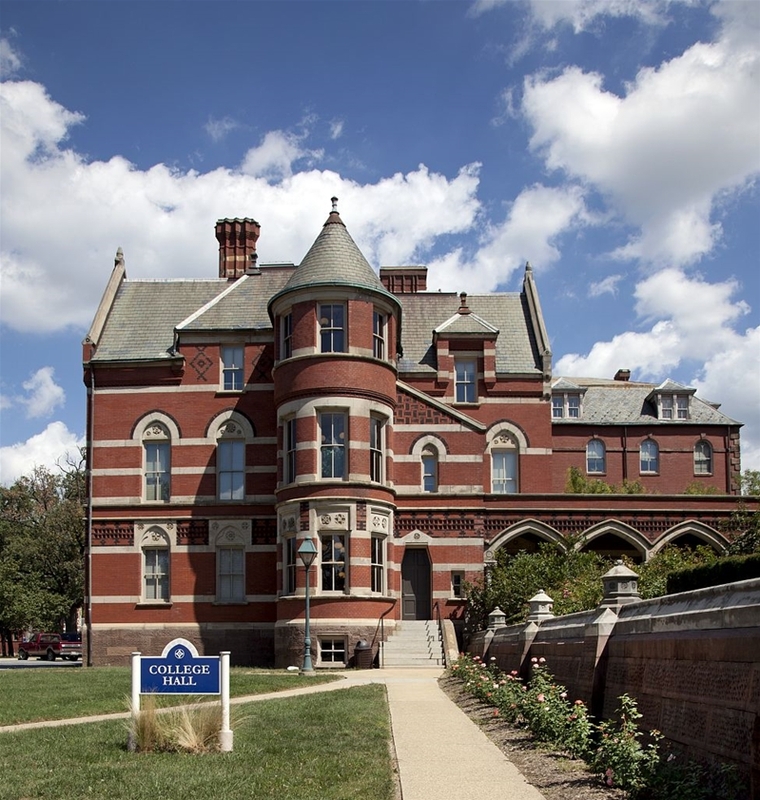 What better site for promoting the interchange of ideas among all people than at the historic university for the deaf and hard of hearing, Gallaudet University. 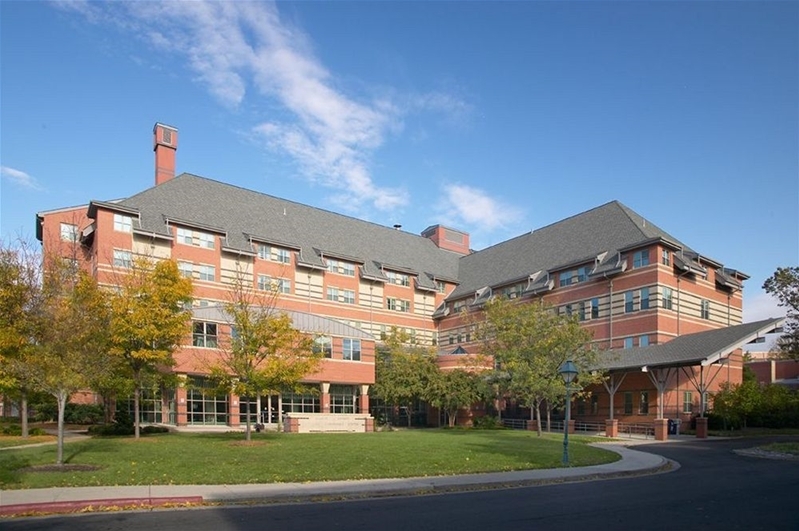 As the official Gallaudet University hotel, Kellogg Conference Hotel continues this proud tradition and sets new standards in accessibility with obstacles and incoveniences eliminated at every turn. The meeting rooms are spacious and well-lit, and include a tiered classroom, video conferencing auditorium and a multimedia executive boardroom. Technology is at your service with capabilities for real-time captioning and wireless amplification. A welded-steel sculpture representing a Bison stands in front of the Gallaudet University Field House. It was created by sculptor Ben Williams of Livingston, Montana. The sculpture was seen there and bought by the founder and president of J. W. Kaempfer Company, a D.C.-area developer of office buildings. His company used it for about 9 months in 1986, set up next to Interstate 66 in Rosslyn, Virginia, accompanying a real-estate advertising sign. Then-president of Gallaudet University, Dr. Jerry C. Lee, spotted it there and thought the perfect place for the bison sculpture would be at Gallaudet University. He persuaded Kaempfer to lend it to the University. A couple of years later, Gallaudet bought the sculpture outright, and it has guarded the Field House ever since. The 500-pound, unpainted sculpture is made from special Cor-Ten steel, which is purposely allowed to develop a coat of rust that prevents further rusting. Similar steel is used in many bridge girders and other applications where people want to avoid the need for periodic repainting. 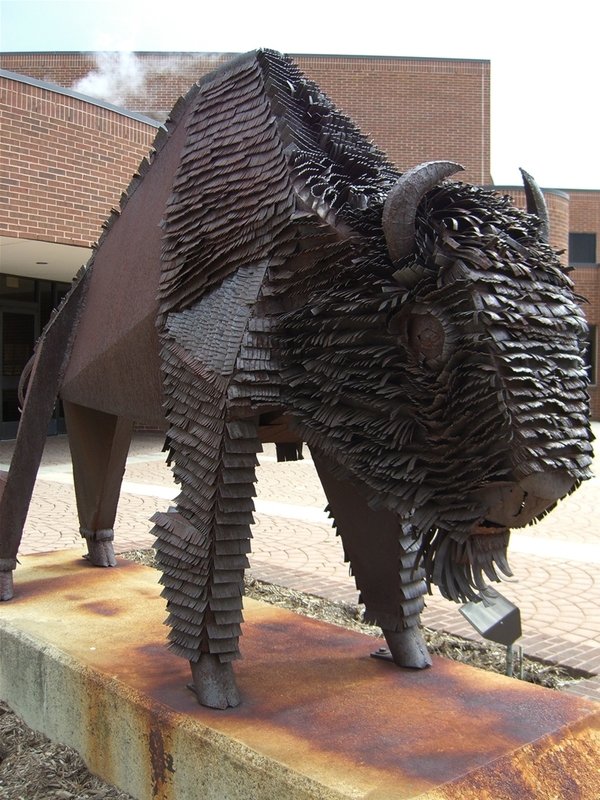 The sculptor took advantage of the rusty color and texture to suggest the color and hair of a real bison.